Make sure your next email campaign looks great on every device using these 5 recommended frameworks. Antwort is a simple framework that offers columns on desktop that automatically become rows on mobile. The framework consists of 3 different templates, a single column template, a three column template (with images), and a simple two-column template. 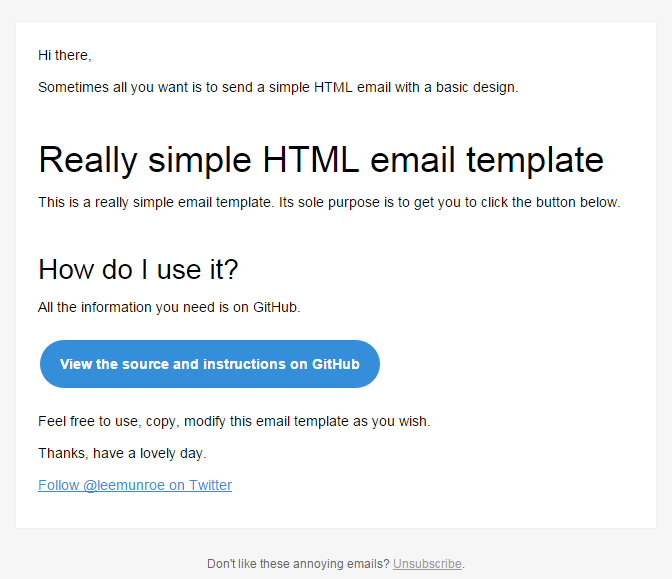 Created by Ted Goas, this email framework contains a fluid, responsive template without media queries, as well as a template that includes media queries. 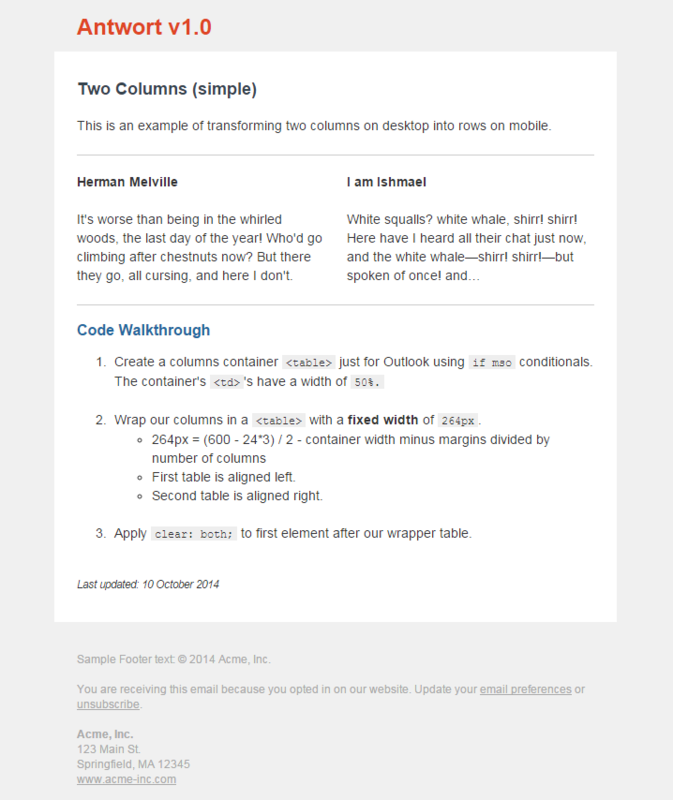 Email Blueprints is a collection of HTML email templates that work perfectly with MailChimp. 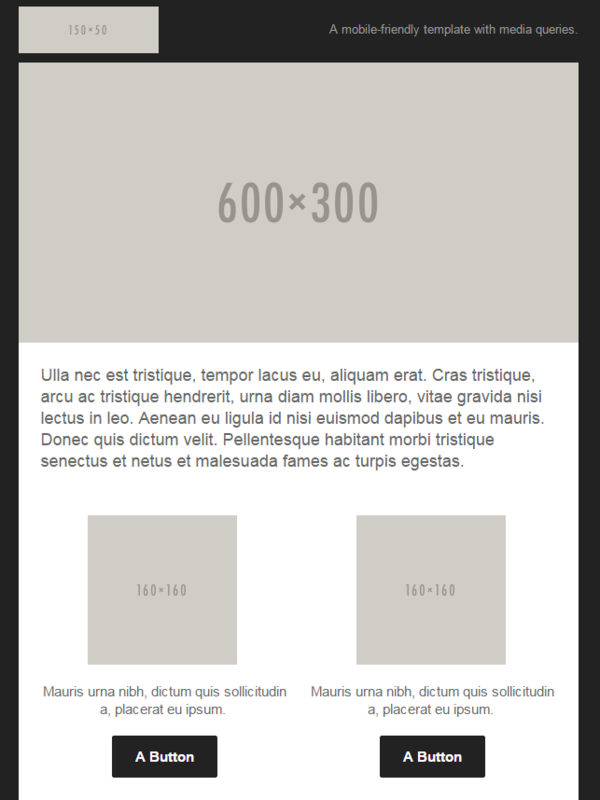 The blueprints include responsive email templates as well as modular email templates. 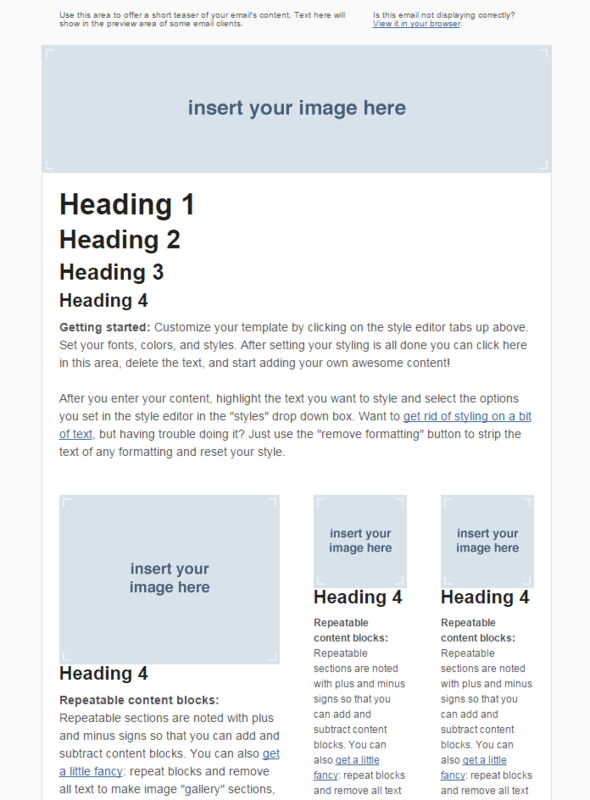 Created by Zurb, Ink’s templates consists of some common layouts for you to start from so you can create your emails faster. 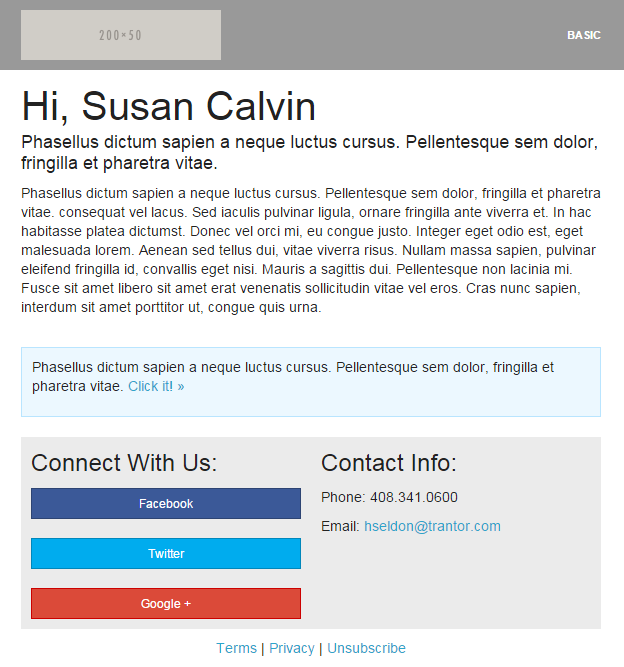 Sometimes all you want is a really simple HTML email template. Created by Lee Monroe, this template includes 1 HTML file with basic elements. What are your favourite responsive email frameworks? Email me, or send me a tweet @jennamolby.